I'm not sure the circumstance the photo was taken, but could it be wrapping paper, or packaging or part of your skirt? I'm also a bit confused when you said the blankets where black an silver with squares, but in the photo the blanket is blue and white with circles. Edited by kevinscan, 04 September 2017 - 04:54 PM. Kevinscan, I think that might be the baby blanket. Moody says the bed covers, I am thinking the bed sheets, were black and silver. The strange mask thing was where she was lying down with her children on her mattress on the living room floor. Kevin... do you have any input concerning the son or how we can help him and his family? Anything that scares or threatens a child is serious business. Just because I question the picture doesn't make me insensitive to the child's needs. A picture means nothing compared to how it makes the person feel. Fear, discouragement, anxiousness, unease are all serious matter. it possible to switch rooms, so the child can sleep elsewhere, at least for a time? Have you sought help from a minister, priest, or paranormal shaman? Nothing is more important than the safety of that child! I will be sending prayers your way. Take courage, and fight for your child and your own well-being. Yes your right, I just read through again, it was the bed covers she was referring to. prey, move rooms or move house, and all stay strong and do not give in to it. My husband and i do not sleep together do to the fact of how scared our son has been. My son sleeps with me. After him saying he sees someone and talks to someone, i had my husband move my bed into the living room. I feel much safer knowing we are all together. So that has been done also. I really do not think it is the home itself. We have experienced paranormal activity for years. We have just never saw it's appearance in a picture nor has it ever been this strong or active. I myself have night terrors. I have had episodes of waking during the night screaming to the top of my lungs and lying back down to sleep and had no recall of it unitl the next morning when my husband addressed it questioning me. I know to some this may seem like a load of crud but it isn't. I really am scared for my son and myself. It doesn't mess with my husband. Only me and my son. WHY!? I feel like my husband is beginning to think I'm losing my mind. Even though he has saw the faces in the pictures he thinks I'm crazy whenever i call him in fear and inform him on the things that have been happening. My mom says he has been fine at her house, no paranoia or bad dreams, no conversations about everest. But the whole week he has been gone i have been experiencing some heavy paranormal activity. I have to say from following this thread,you dont seem to want to read anything else besides "its a ghost".These sentences from your own post i quoted lean that way.If you are submitting anything that you deem paranormal,not everyone is going to see what you see,and some are not going to believe it is paranormal.Does it mean you arent experiencing paranormal activaties?of course it doesnt,but you could be a little more tolerant to those who might have a different opinion then you do. I do hope it all works out for you and your son either way. Edited by The_Dead_Shall_Rise_Again, 06 September 2017 - 03:23 PM. Please let me reiterate when posting to "Share Your Paranormal Photos & Videos" the summary clearly states what to expect when members critique each other's pictures. There will always be opposing opinions and that is healthy for our forums. I think we can all agree, that each and every one of us, are honest in our beliefs and we can all respectfully agree to disagree. I can understand it must be a very stressful experience for MoodyMa'am041 and I wish you the best and look forward to seeing your pictures. If I can toss in my two cents... If you are experiencing all these things in your home I would recommend trying to get someone to come in and investigate on site. 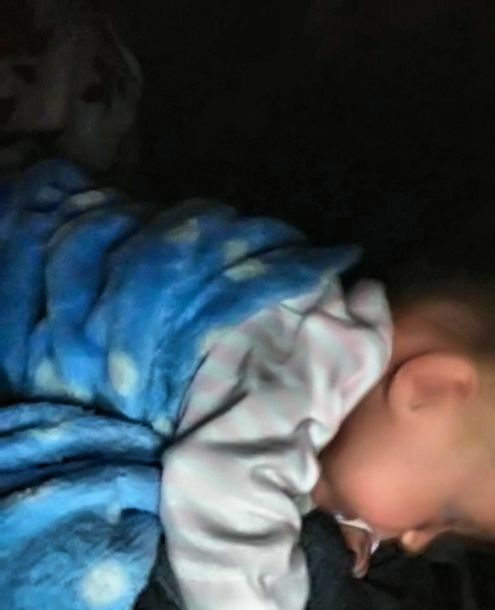 If people think it's a ghost or a blanket in the picture, it doesn't really matter. There is only so much advice people can give on a message board based off one picture. I don't know where you live, but you might try seeing if there is a TAPS group somewhere near you. As for there being no such thing as a "good spirit", there are many people that believe any spirit or ghost is actually a demon. I don't think that is true, but it's still something you want to be cautious about. Just like people, spirits can lie. I think most ghosts are simply people without bodies and may very well be as confused or scared as you are. The way I see it, you can call someone in to help you deal with it, live with it as it is, or move. Let me say this first; I am sorry your son is having a hard time. But you should not create a post asking for the opinion of members here and then tell them they are wasting their time just because they do not see things your way. That is just plain rude and to my knowledge no one has said you did not see a face. Edited by MacCionoadha BeanSidhe, 07 September 2017 - 03:27 PM. Probably not going to be a popular opinion here. First, I don't see anything in the photo. I had to read through the comments to even figure out where I was supposed to be seeing anything. The majority of people look at photo's and DON'T see faces or anomalies realistically. Secondly, none of us is there in your home. None of us knows anything other than what you tell us. We don't know your or your family. I wouldn't say that you aren't having experiences. I'm not there. However, I personally believe that if there IS something there, the more fear you show feeds it more. You give it more power over you. Bottom line is that if you ask for opinions you have to be willing to listen to ALL opinions, not just the ones you want to hear. I hope that your son will be okay and that you can figure out something to help him feel safe and comfortable. I'm extremely sorry for anyone i offended. I appreciate & respect every opinion. Thanks for the caring and concerns for my son. I just emailed the pictures. Please keep in mind that my sheets were black whenever the picture of the face was taken. And my blankets matched the pillow case that i am laying on in the photo he will post. Thanks.